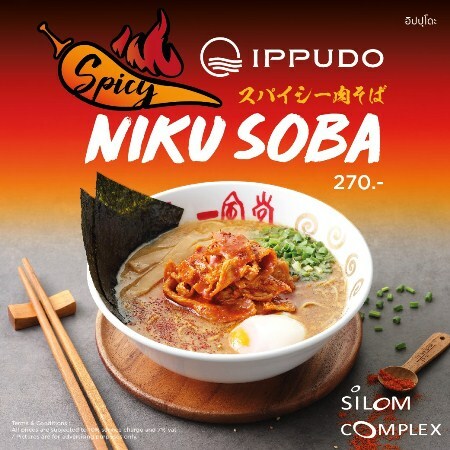 ต้อนรับเดือนเมษาอย่างร้อนแรงที่ IPPUDO Ramen กับเมนูใหม่ล่าสุด Spicy Niku Soba! Spice up your summer with IPPUDO’s newest seasonal menu, Spicy Niku Soba! Taste the creamy, spicy pork bone broth from the mixture of our delicious secret spices and Cayenne pepper. Savor the heat on our marinated Sliced Pork and Poached egg. Select from 2 level of spiciness and go for it!